Select image to enlarge. Use browser BACK button to return to this page. 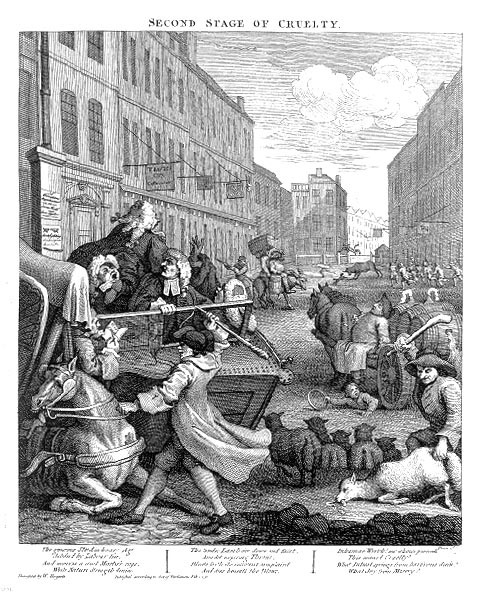 Tom Nero, the boy in the white cap (first stage) is "in the care of the Parish of St. Giles." He tortures a dog with an arrow. One boy tries to stop him, while other children in the scene torment other animals. 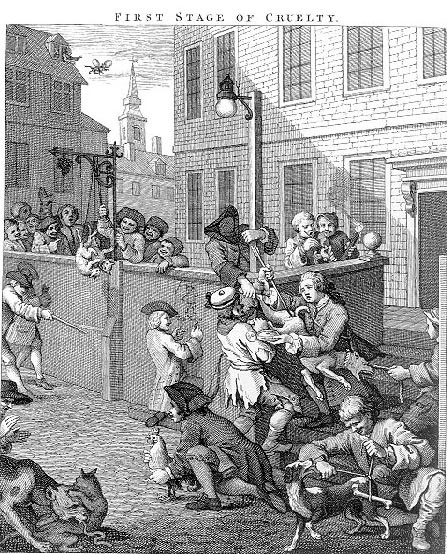 Hogarth's caption: By the second stage, Tom Nero, now a young man, is seen beating a horse while a bystander takes down his name in order to complain to the authorities of his cruelty. O take, he cries -- take all my Tart. What Int'rest springs from barb'rous deeds? In the third stage ["Cruelty in Perfection"], Nero has been captured after committing a series of robberies, including the murder of the woman who carries his child. He will be hung. 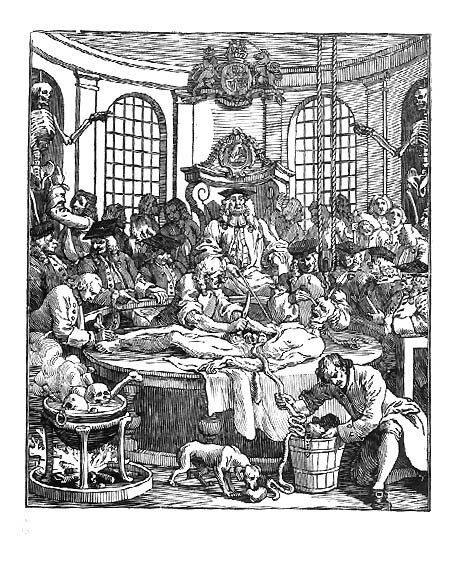 In stage four ["The Reward of Cruelty"], as was often the fate of those executed by the State, his body has been turned over to surgeons for dissection. Some art historians suggest Nero "is represented as still alive, for it was a particular fear of criminals that they would survive the hanging and be conscious at their dissection." 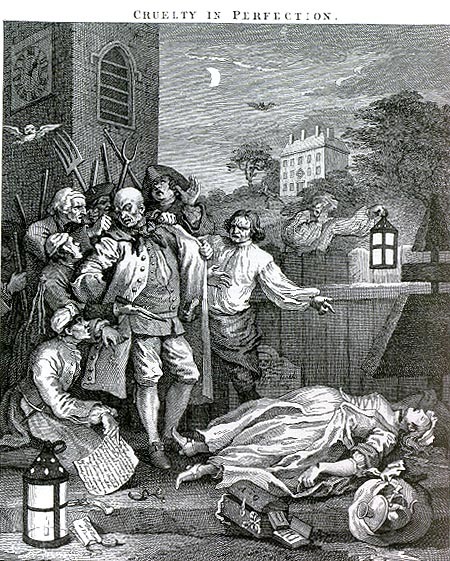 See also the Spartacus site in UK on William Hogarth.